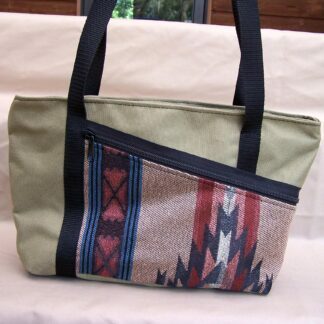 Carryall: Designed to fit under the seat in front of you. 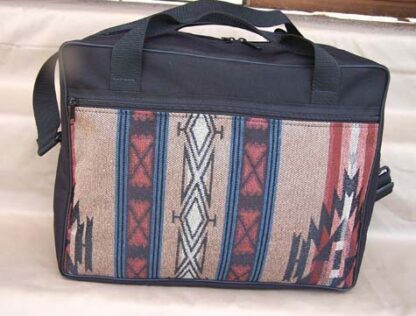 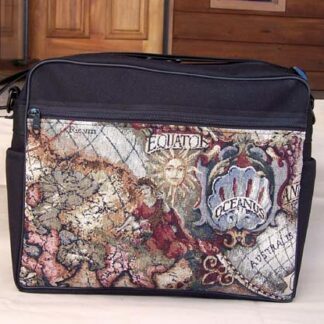 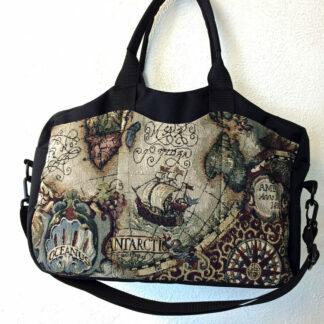 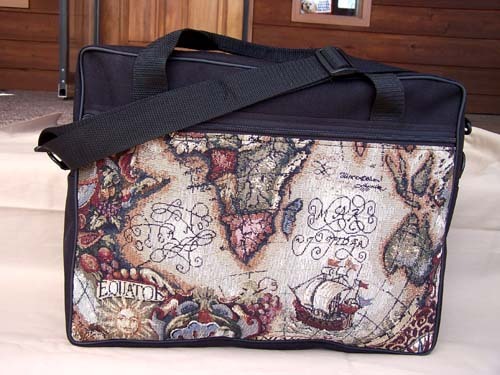 Tapestry Carryall Bag (13H x 17L x 7D) Anything and everything goes in here. 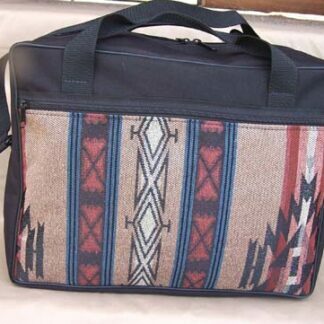 It has a large open main compartment and two zippered pockets outside. 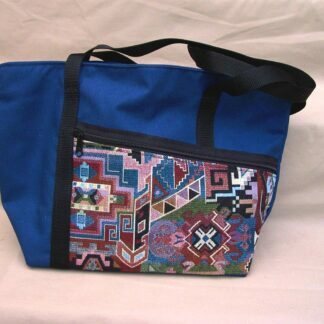 Handles AND a shoulder strap. 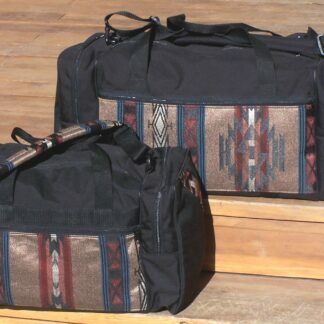 Originally designed to fit under the seat on an airline, it also makes an excellent overnight bag.